Lots of changes this year with a change of date, venue and caterer. It was agreed to hold our annual presentation in the Clubhouse with the Club benefitting from the profits from the bar. The tables were expertly laid up for 60 by Marion and Gill, ably assisted by John and Peter. All the place names had been beautifully hand written by Liz and once the flowers were in place we were ready to go, with a lot more room than anyone had expected. The weather that evening, as predicted, was wild, wet and windy but once inside with the curtains drawn we were all cosy and judging by the volume of chatter and laughter, everyone was enjoying themselves. The homemade spread p rovided by Mandy of Simply Delicious was very much enjoyed. Roy Lidington was going to be our guest speaker but with so many problems associated with moving house, he was unable to attend. A great shame as it would have been a wonderful chance for many of the members to wish him a fond farewell. Our President presented the cups to all the winners with our resident “David Bailey”, Mike Smith, taking the photos. We even had an air kiss from Chris to a virtual Pamela caught on film. Well done to all those winners and to everyone who took part. Your competition secretaries are looking for lots more entries next year. A further selection of lovely photos will be coming to our Gallery Page shortly. Bob and Laura attended the celebration tea where several of the local organisations gathered together to collect their certificates and tell everyone a little about their respective clubs or organisations and how the funds received would help. 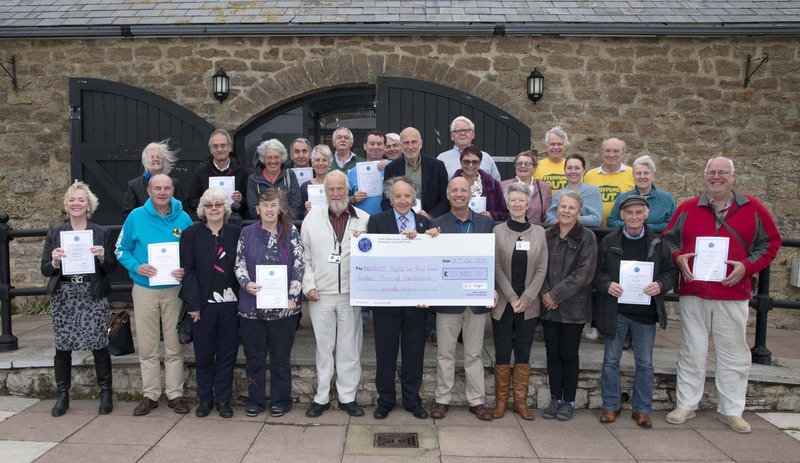 This funding was organised and distributed by West Dorset District Council but with the unification of local councils, it is hoped that Bridport Town Council will continue with this very important funding stream. It was a very interesting afternoon hearing all the good works going on within the community. The attached photo shows a happy group of people with their certificates albeit rather windswept! Please note the above date for your diaries. The bar will be open earlier so you will have the opportunity to chat and catch up with friends. Below is a link to all the officers reports for you to read and/or print as you wish. The agenda will follow. 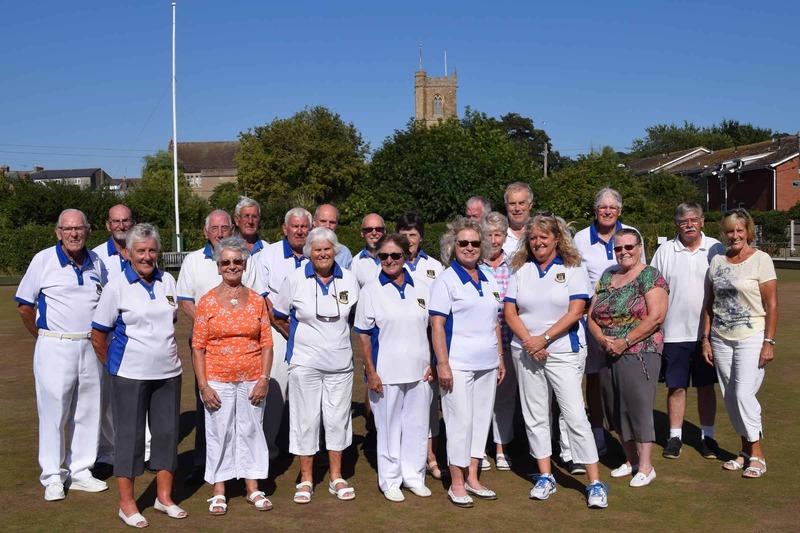 Bridport Finals Weekend was really well supported by members who were excellently catered for by Marion with jacket potatoes on the Saturday and hot pork rolls on the Sunday, together with a large selection of home-made cakes which had completely disappeared by Sunday afternoon. Lots of members attended together with our friends from the Indoor Club who enjoyed socialising and enjoyed the bowling. The weather was kind to us with a beautiful day on Saturday and a rather dull day on Sunday but the rain held off. I won’t mention all the competitions as I am sure to forget someone but there were some hard fought competitions and some brilliant bowling. The ladies two-wood singles took all 21 ends to decide with Laura holding the two shots she needed to win the title when Frances came through with her last bowl to take the jack ad the game. The championship singles was equally closely fought with Gill Hunt and Frances Hewett battling it out until eventually Gill came out the winner. Gill had a really busy weekend winning three out of her four finals. For the men, Chris Thorne was extremely busy playing mixed pairs, handicapped singles, championship singles and drawn triples and again won three out of four disciplines, losing only in t he mixed pairs to Ali and Paul Tibble. Mike Solomon played Chris in the championship singles and put up a spirited fight but succumbed in the end. Mike Smith played Ben Jones in the 2-wood singles and eventually came out the winner. Many thanks to Brian Rumble for putting out the rinks, Bob Taylor for umpiring all weekend and especially to the competition secretaries for their organisation of the whole weekend. The fun day on Sunday 22nd July was in aid of the Youth Academy set up by Joy and Syd Steele of the Blandford Bowling Club. This youth section has gone from strength to strength with Joy and Syd doing their best to encourage all bowling clubs to have a youth section. Originally Bridport were expecting the youngsters to bring their training equipment and carry out a short demonstration before allowing the Bridport members to “have a go”. Unfortunately due to the success of this young team, they were all engaged in competitions on that day so Syd was left to organise the day without their help. You can see by the picture below that the members had a great time and thoroughly enjoyed working through the various disciplines/games which they found greatly helped their bowling skills. The cream tea which followed was also much appreciated. Bowling is a great sport for all ages and abilities. 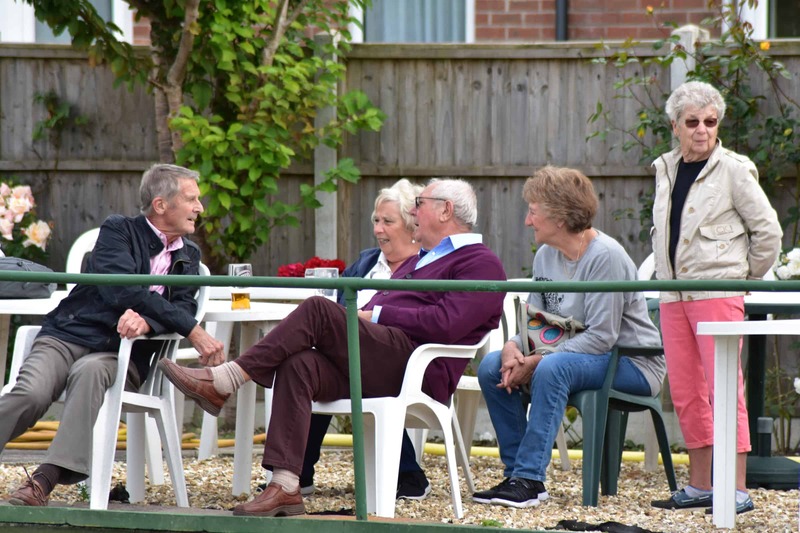 The Bridport club is a very friendly club to belong to where members form a close bond and support each other not only when enjoying a game of bowls but in many other ways. Should you be interested in learning how to bowl or simply would just like to give it a try, please do not hesitate to contact us through the website and we can arrange for you to visit at a time convenient to you. Club Morning is on a Wednesday from 10.30 and you are always welcome to call in then for a chat. 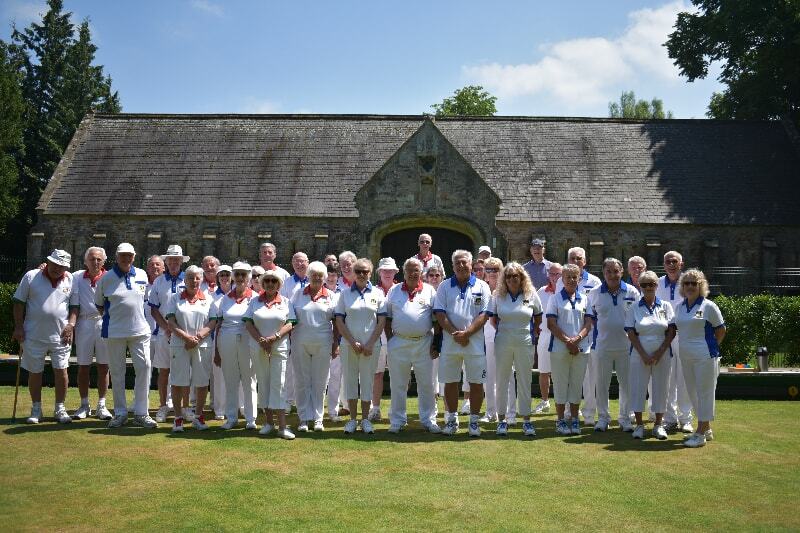 Sunday 1st July was another fine day for the annual battle at the Club between the ladies and the gents. Unfortunately on this occasion the “gents” were not very gentlemanly taking the honours on all five rinks. The top men’s rinks was Bill Duthie-Jones, Michael Higman, Peter Scott and Mike Smith with Liz Kennedy, Carol Broad, Sheila Jones and Jill Willcox the top ladies rink. All members contributed to a wonderful supper enjoyed by all. Saturday 9th was a little cloudy for the start of the Ladies County Triples quarter and semi-final at Lyme Regis. 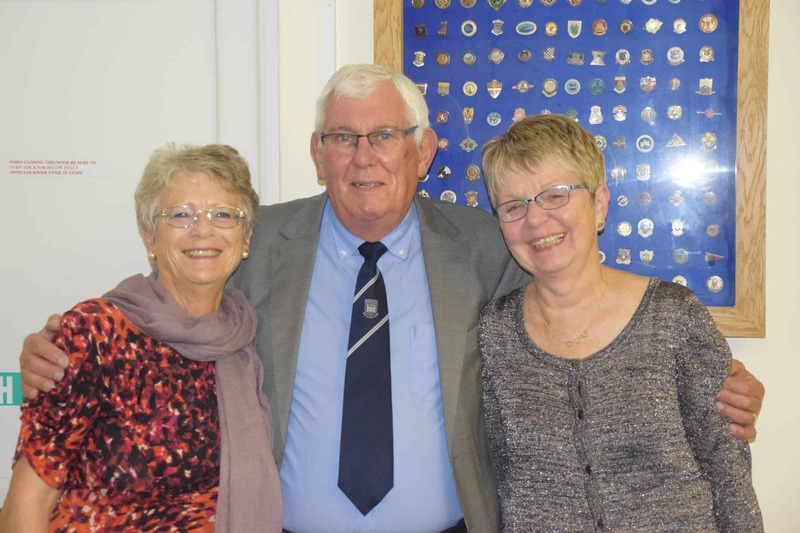 Pat, Laura and Lyn from Bridport were drawn against Sheena Willis and her team from Wellworthy. A good game where they all played well and won through to the semi-final. They then played again against strong opposition led by Penny Cresswell and her team from Poole Park. A good start was made by Bridport and they continued to lead throughout the game to an excellent victory. Next step the National Finals in Leamington Spa in August. Well done ladies! A lovely day and a beautiful setting with Bridport away to Wells. The six teams left early and made a day of it exploring Wells before making their way to the green to play. Bridport were led by Neil Kennedy, Captain for the day on the occasion of his first wedding anniversary. Congratulations to him and Liz. 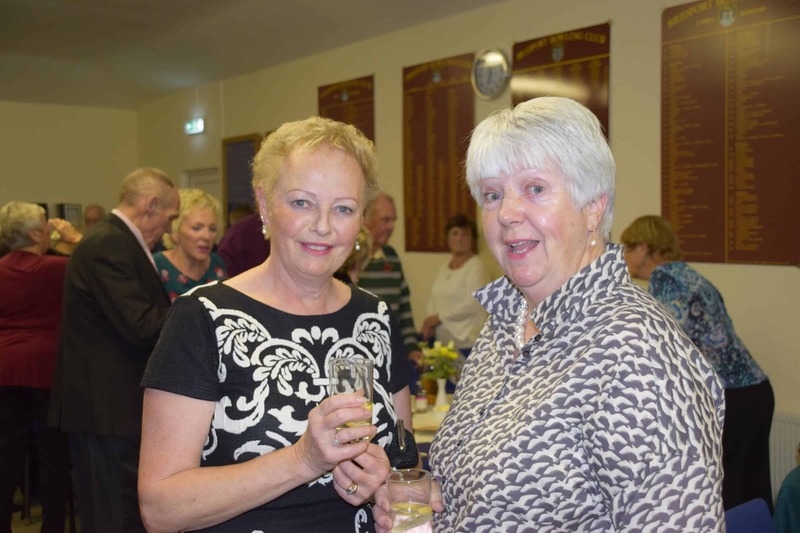 After the game Bridport were entertained with drinks and light refreshments and a lot of chatter. There was one losing rink, one drawn rink and four winning rinks with Mike Solomon, Margaret Strange and Mike Craddock getting the top rink prize. 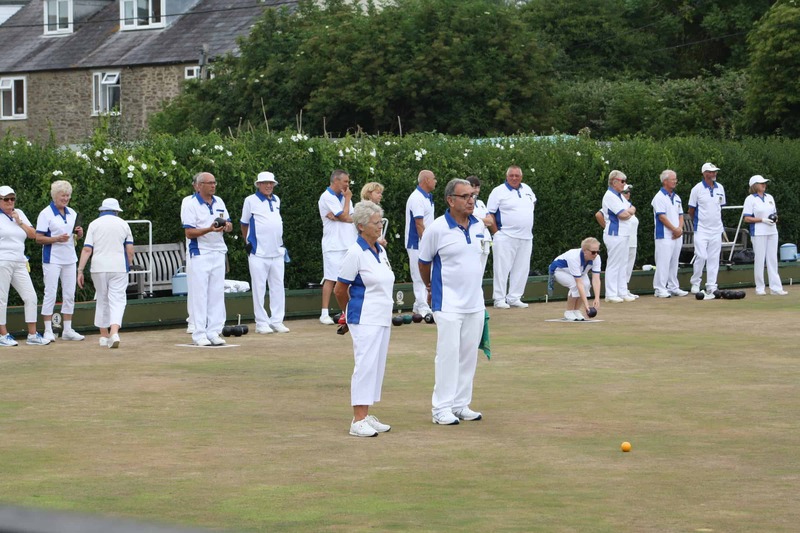 This week has been a busy week for Bridport Bowling Club with all the usual leagues and county competitions as well. Wednesday proved to be a gloomy day with low cloud and persistent drizzle. However this did not dampen Bridport’s spirits with a win for the ladies in the next round of Top Club and a win for the men in the Double Rink. Pamela won the singles in Top Club by twelve shots giving the side an excellent start. 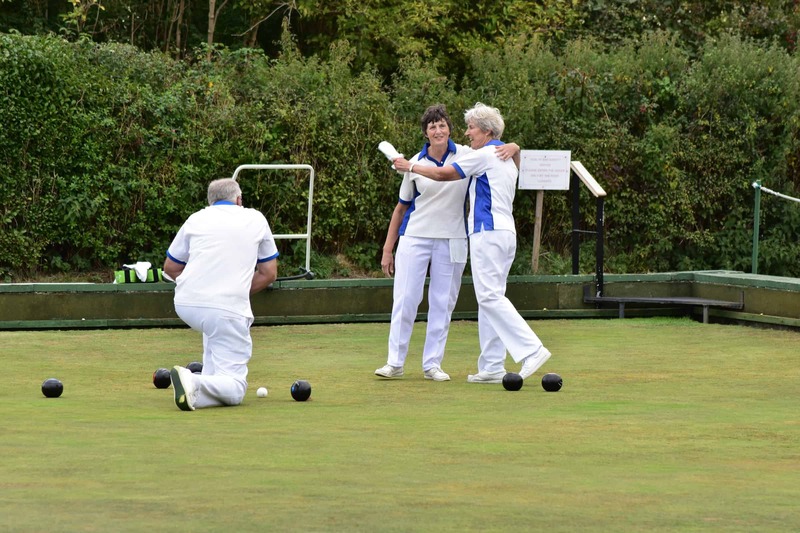 A win from Rosemary’s fours clinched the two disciplines for Bridport and enabled a win by shot difference. It was a close game across the board, played in good spirits despite the weather. The men followed on in the evening away to Greenhill in the Double Rink in equally foggy weather. Both teams captained by Brian Rumble and Mike Solomon won in style with Bridport going forward to the next round again Lyme Regis. 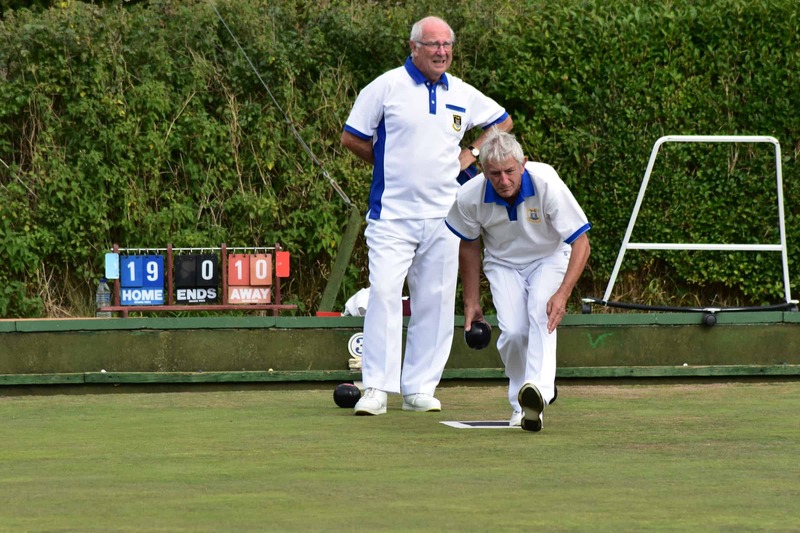 Bridport men made a good start in the first round of Top Club winning four of the five disciplines against Melcombe Regis. Chris Thorne and Mike Smith had fine wins in the 4-wood and 2-wood singles respectively. The pairing of Ben Jones and Bob Taylor had a runaway win and the fours captained by Brian Rumble also won with the triples led by Brian Conisbee losing by only one shot. Good luck in the next round!! 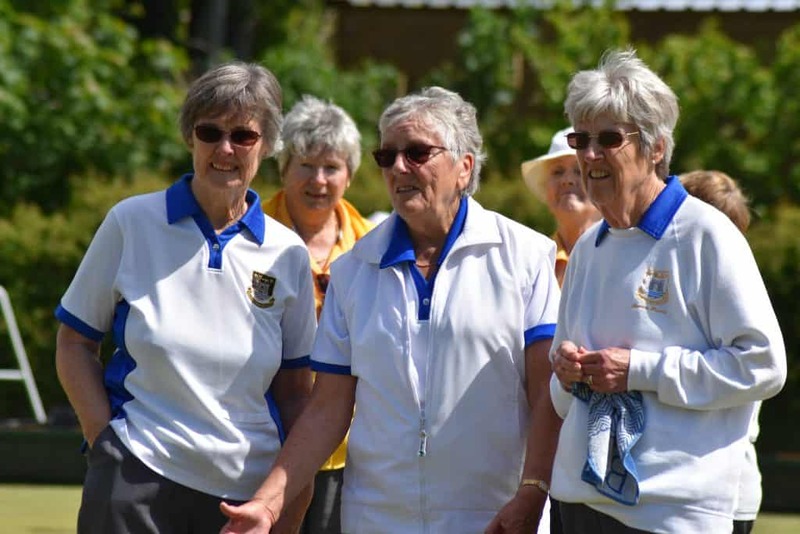 Sunday was a beautiful sunny day, just right for Bridport Ladies first round of Top Club versus Greenhill. The singles proved to be a very close game with Pamela eventually losing to Margaret Crawford by just one shot 20:21. 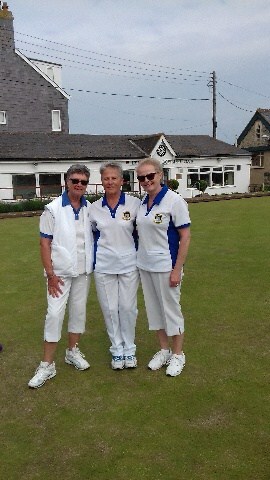 The triples consisting of Margaret, Alison and Frances completed their game with a win for Bridport. At this stage the pairing of Laura and Pat were up against their opponents at 18 ends and the rinks with Rosemary, Marion, Gill and Margaret (Strange) were so far ahead that the game was conceded at that point. The situation being that even if the pairs had lost, the shot difference was so much bet ter for Bridport that Greenhill would not have been unable to catch up. Good start ladies. Onwards and upwards with Dorchester next. Here are the triumphant triples team from left to right of Alison, Margaret and Frances, busily discussing their next move. On the same day the White Rose Cup was also played at Bridport following on from the Ladies Top Club. This is an under 25’s double rink game with Cornwall versus Dorset. There was some excellent bowling with not a black bowl to be seen! Cornwall triumphed in the end.